Search For "Consumer Services" Companies in Bethlehem, Pennsylvania - Click Here Now! I Help Others Live Healthier Lives Through Education. I Teach About Healthy Foods, Food Production, Gardening, Cooking, And Sharing Healthy Recepies. 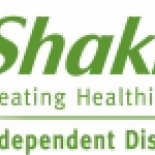 I Also Share My Experiences Using Shaklee Products And Promote The Business Opportunity Attached. Bright Future - Helping Others in Bethlehem is a company that specializes in Miscellaneous Personal Services, Nec. Our records show it was established in Pennsylvania.